One of the largest architectural ensembles, which is included in the UNESCO World Heritage List, is located in the central part of Bukhara. It got its name due to the slaughter-house, which once existed on this site, because "Gaukushon" is translated as "killing of bulls". This complex bears many resemblances with the analogue Poi Kalon, which also consists of the madrassah, mosque and minaret. The madrassah Gaukushon was built in 1570, in consideration of the road, which run alongside, therefore it is of trapezoidal shape. And 30 years later, the mosque Khoja and the minaret, which, by the way, is slightly lower than Kalyan, were built here. 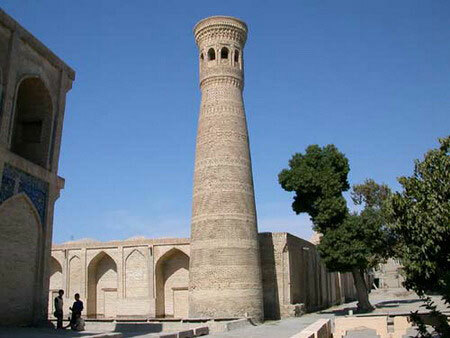 The initiator of the construction of the complex of Khoja-Gaukushan was the Djuybarsk Sheikh Khoja Sayyid, whose name now is included in the name of the ensemble, and the mosque is named in his honor.